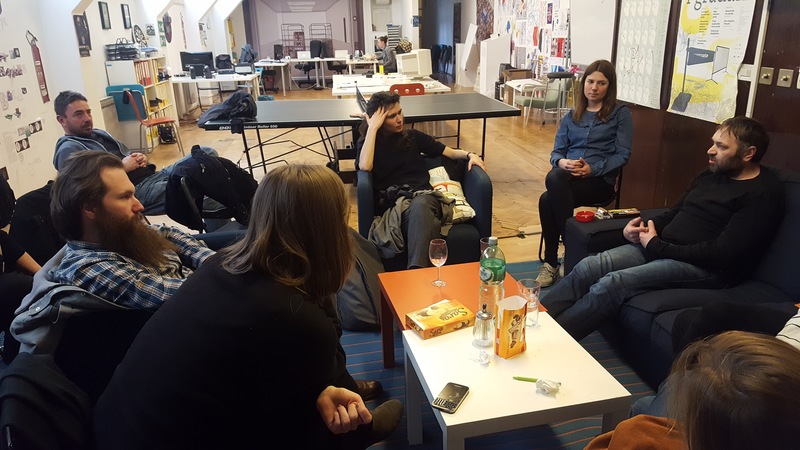 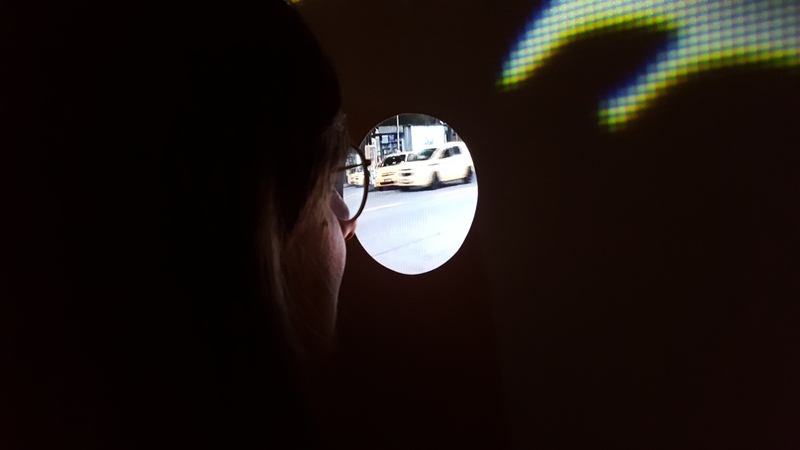 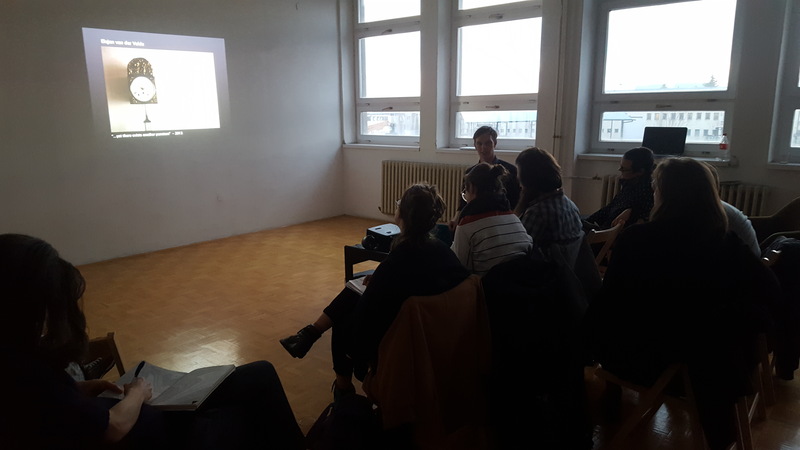 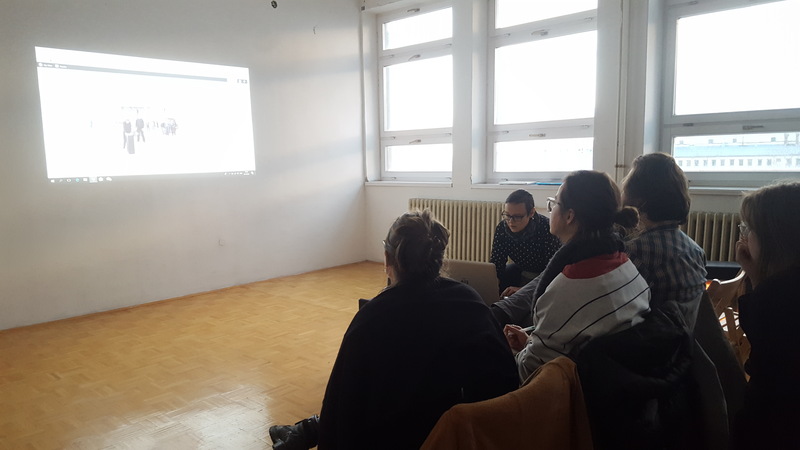 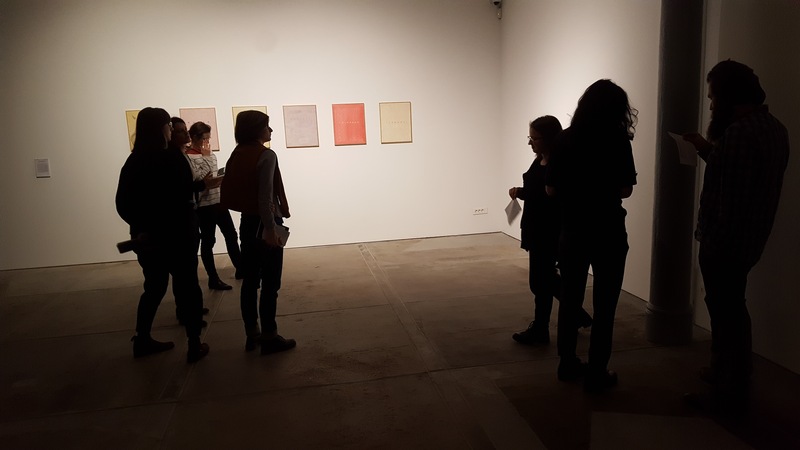 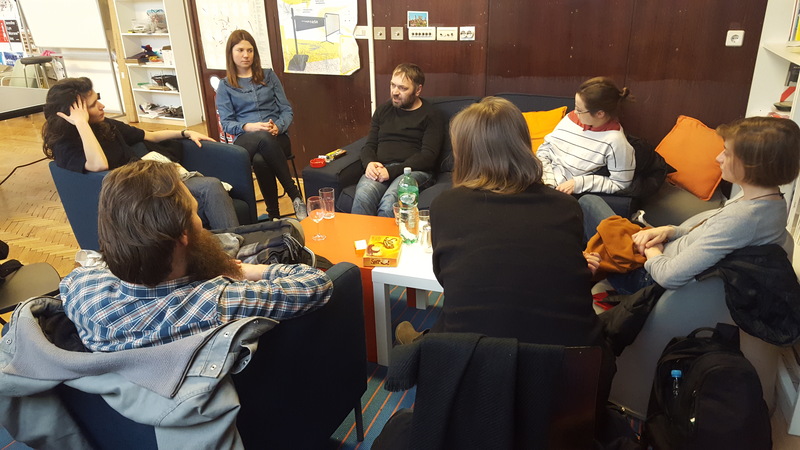 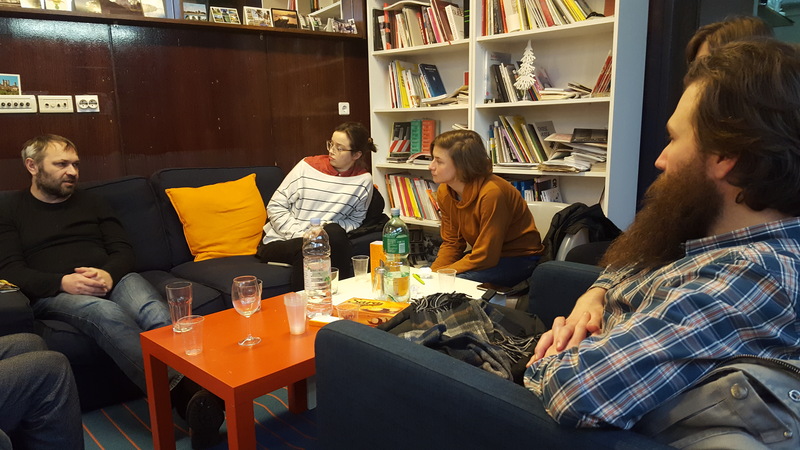 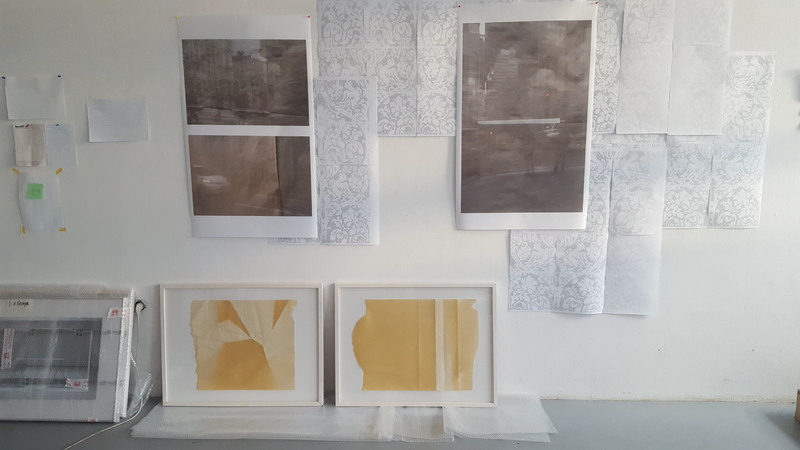 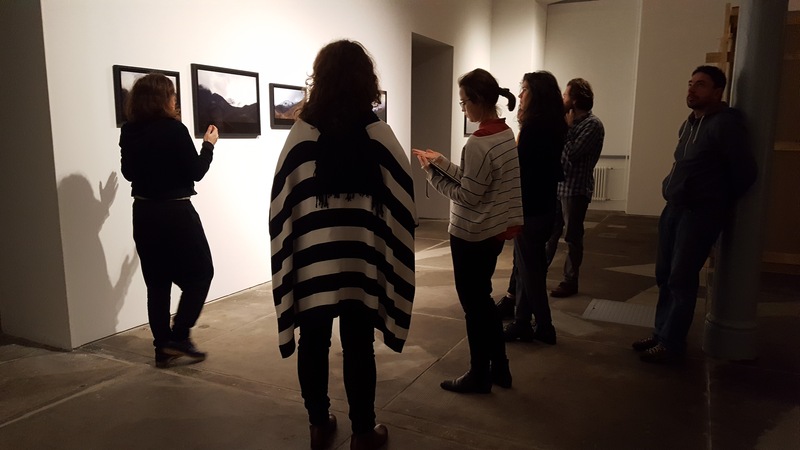 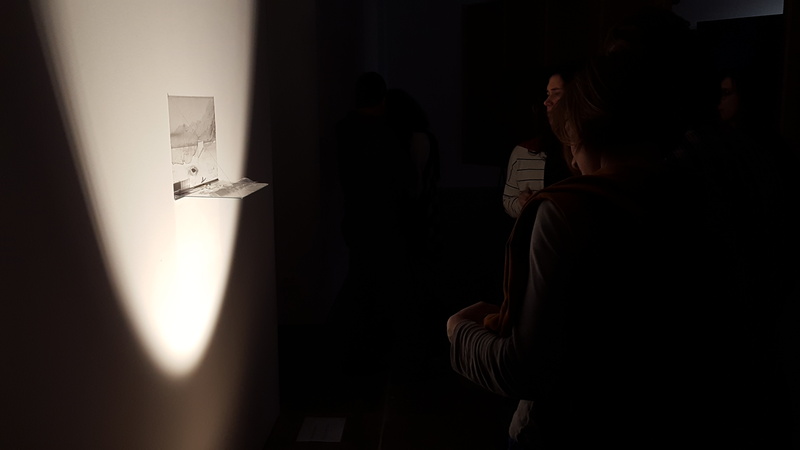 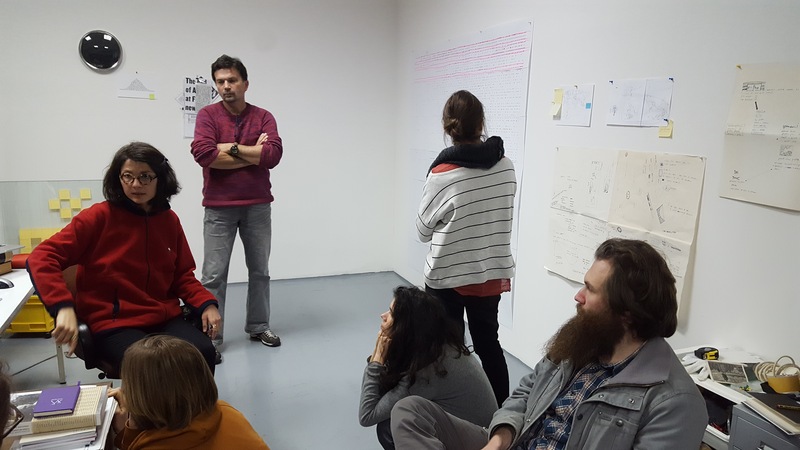 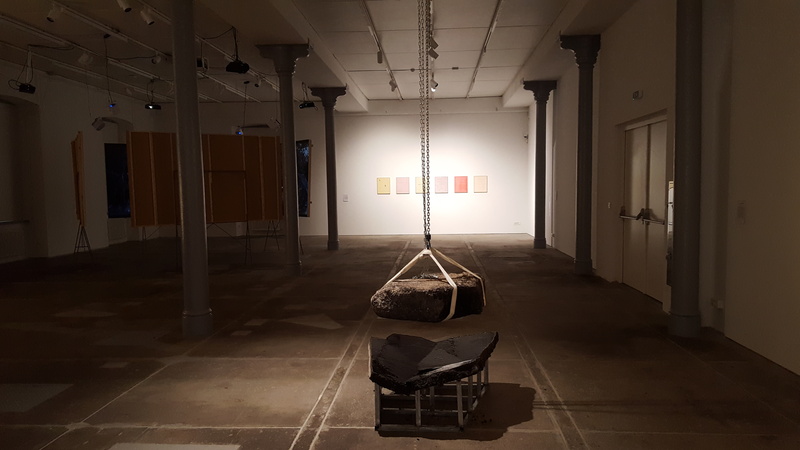 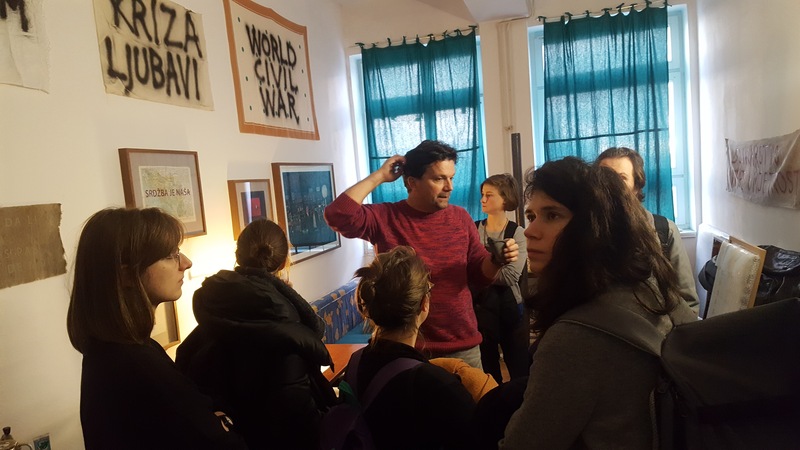 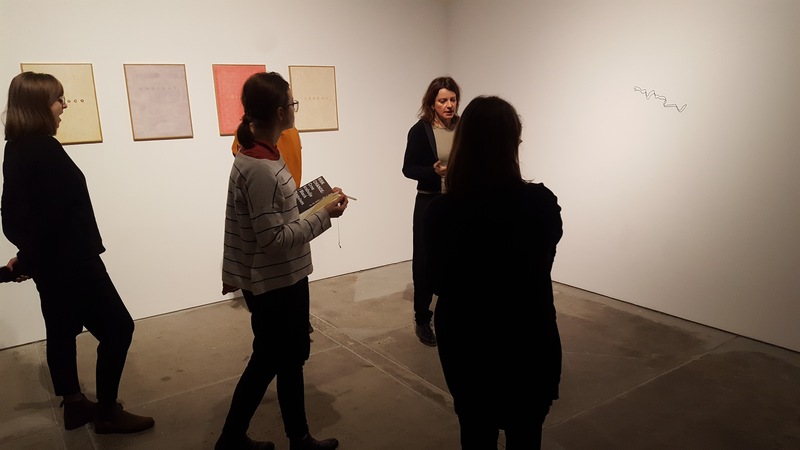 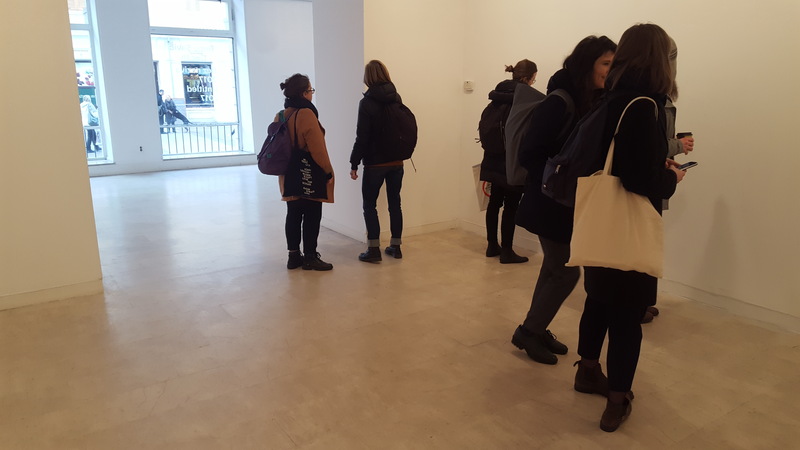 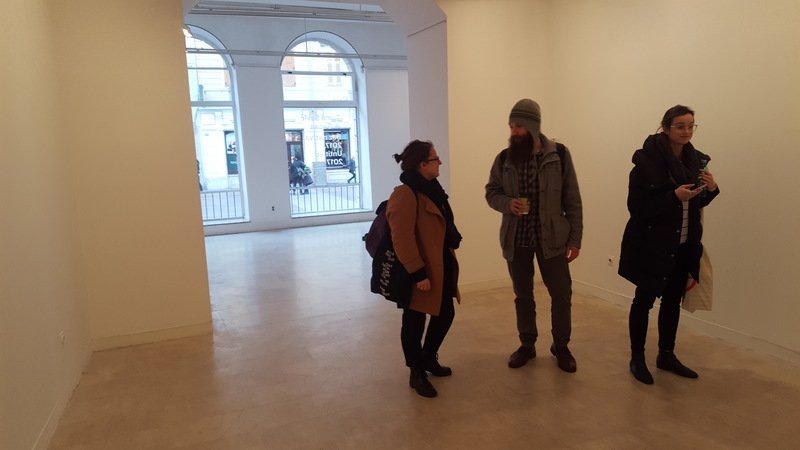 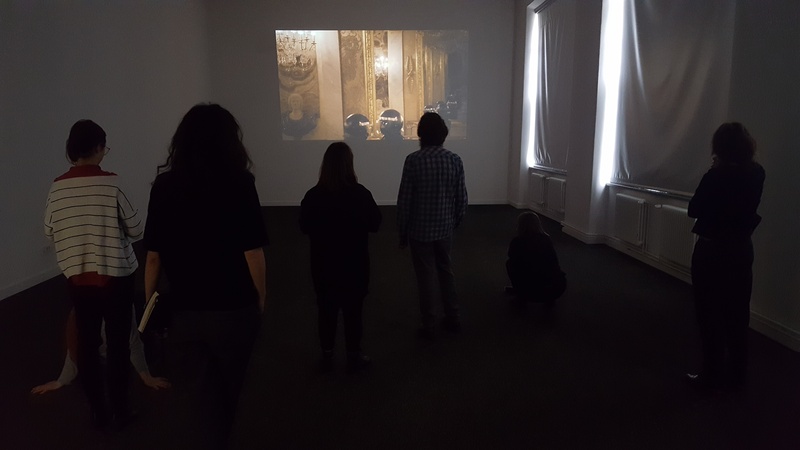 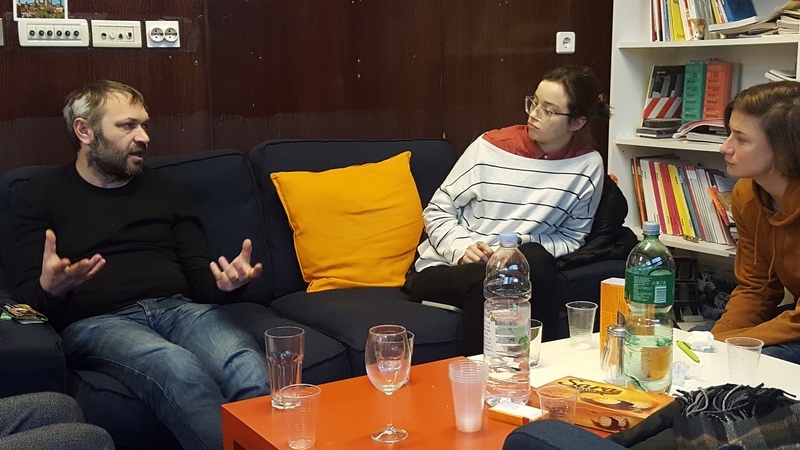 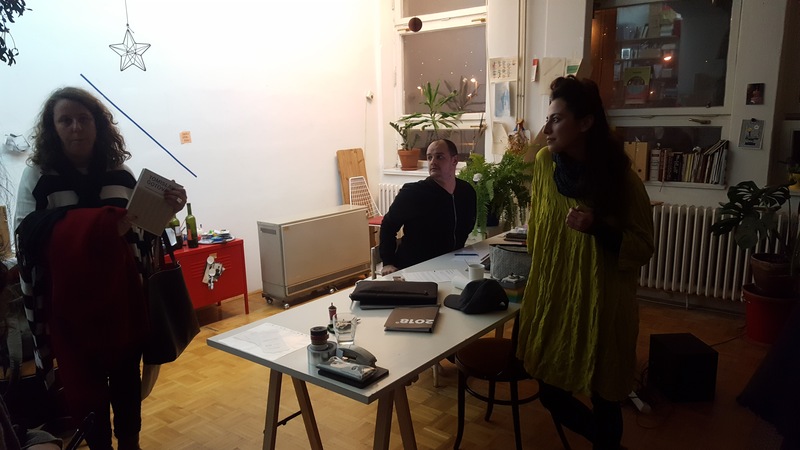 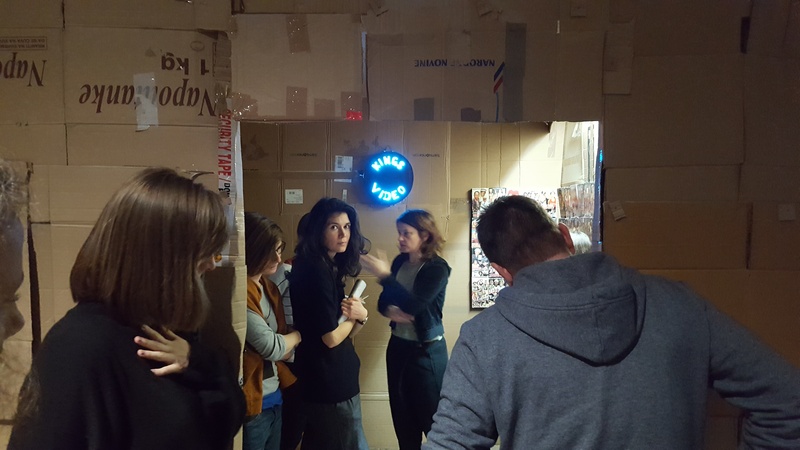 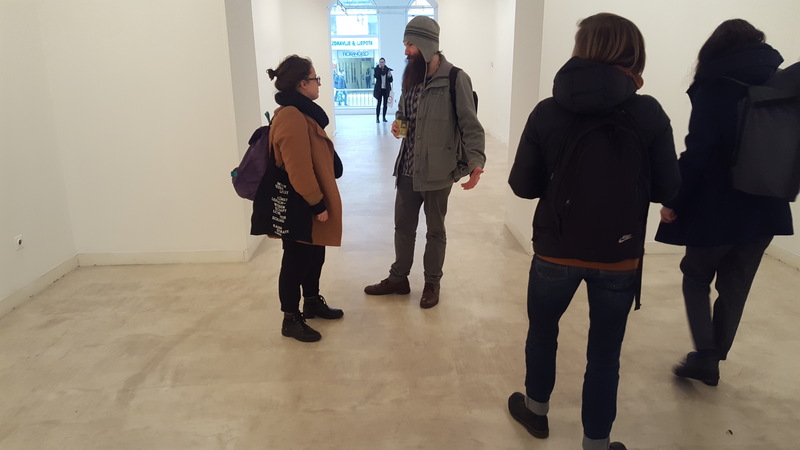 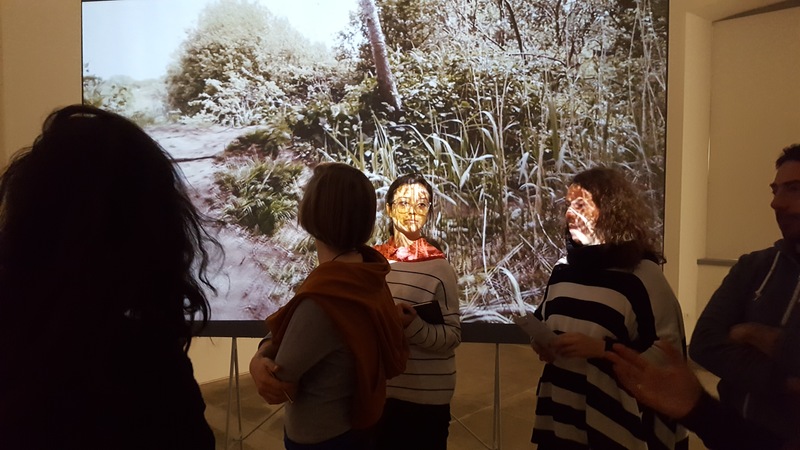 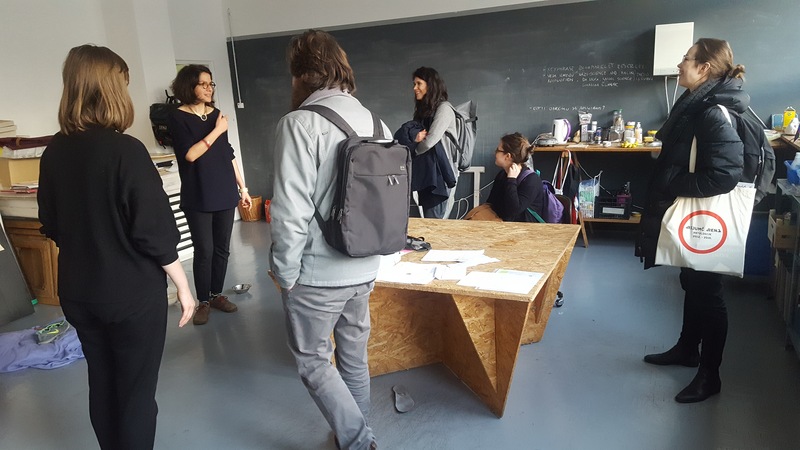 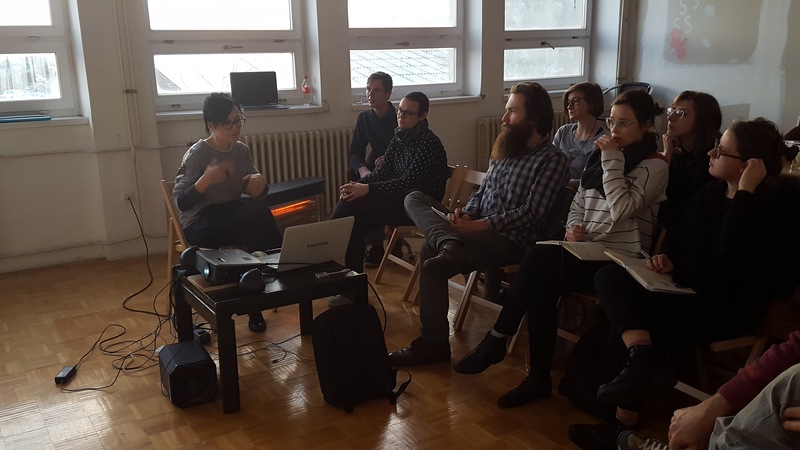 In January 2018, World of Art School visited Croatian town Rijeka with school’s mentor Alenka Gregorič in the framework of curatorial mapping. 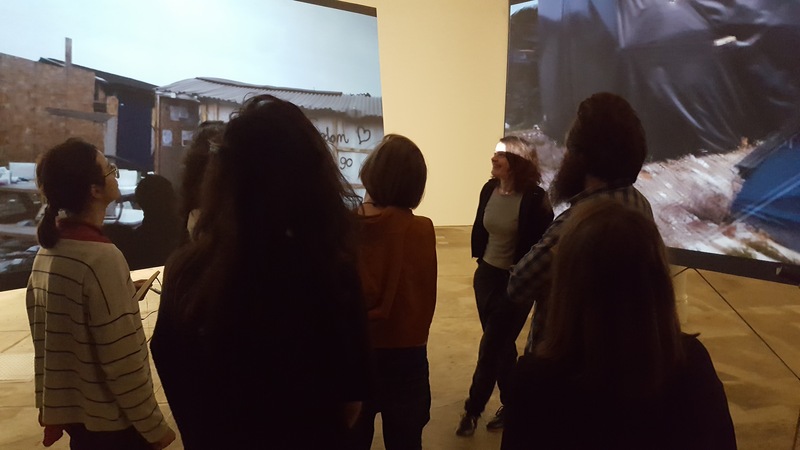 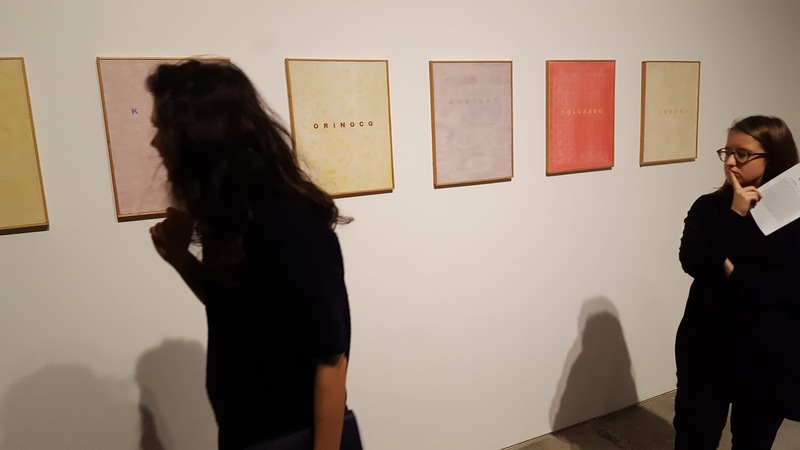 On this occasion, we visited various contemporary art institutions and organisations and got to know the work and art practices of local artists and art groups. 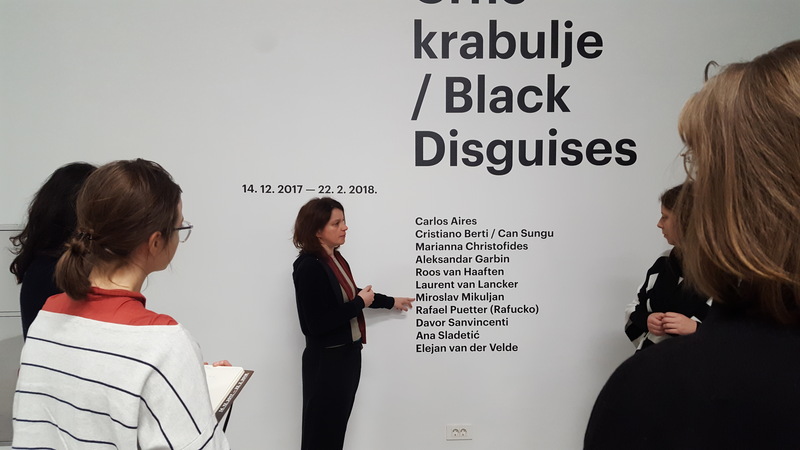 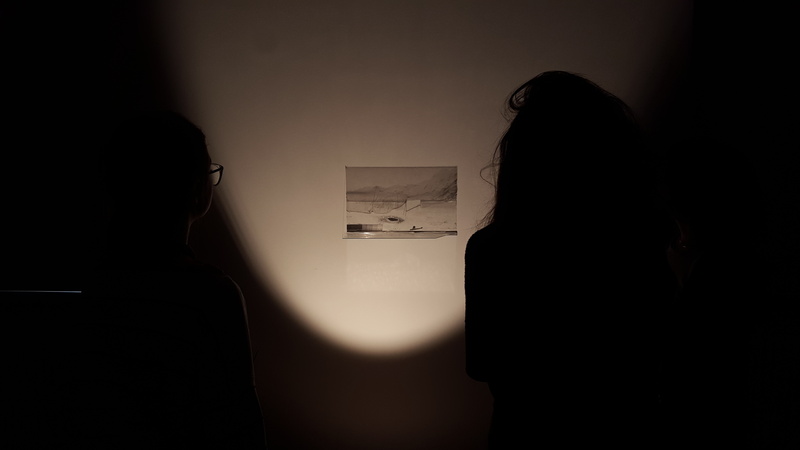 Visit of the exhibition Crne krabulje / Black Disguises and Museum of Modern and Contemporary Art of Rijeka (MMSU). 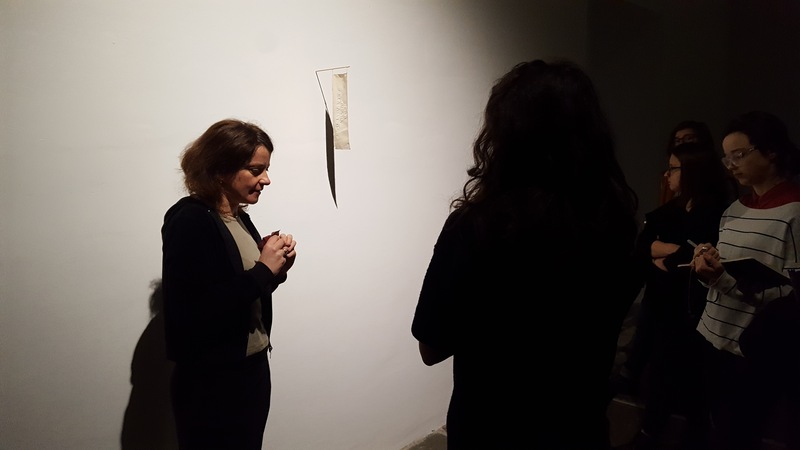 Guided tour with the curator Sabina Salomon. 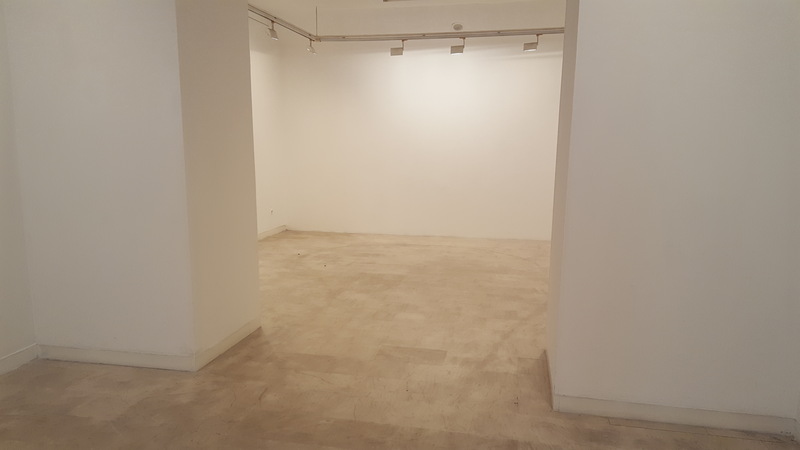 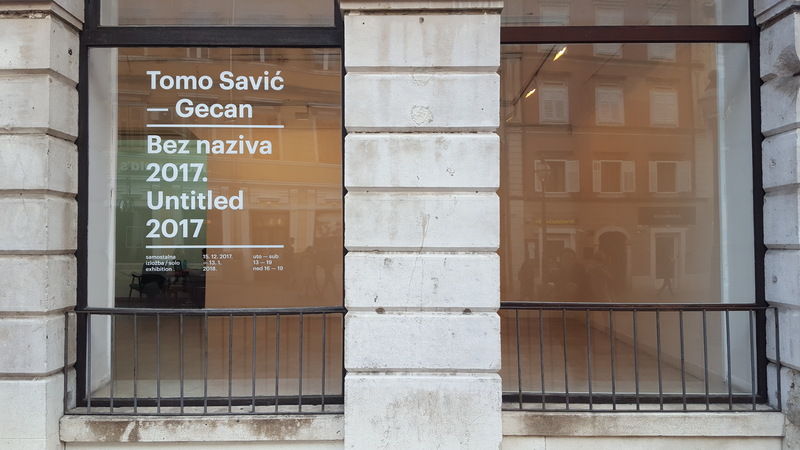 Visit to the exhibition Tomo Savić Gecan: Bez naziva 2017. 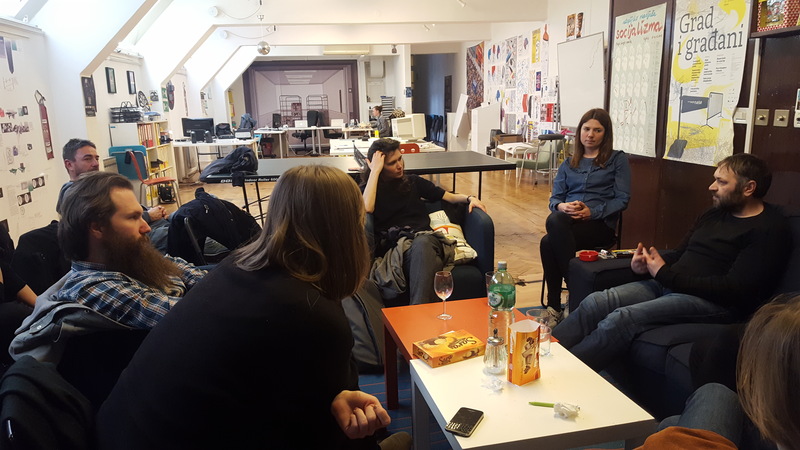 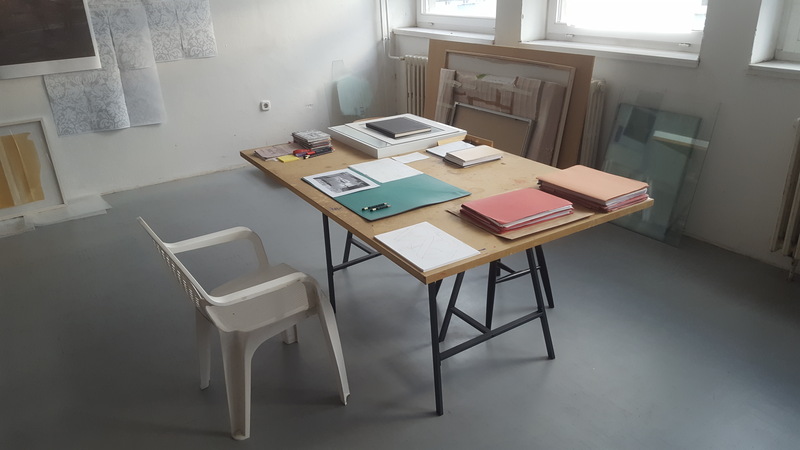 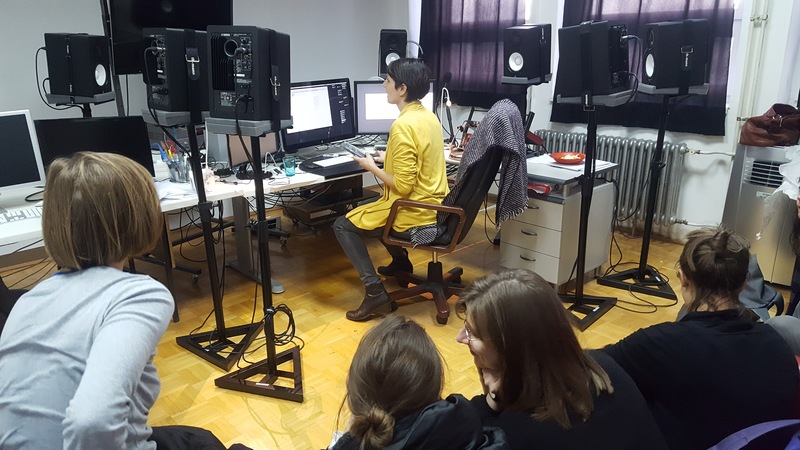 Visit of Delta 5 studios (Milijana Babić, Tomislav Brajnović, Igor Eškinja, Fokus Grupa, Nadija Mustapić, MFK&AT, Nika Rukavina). 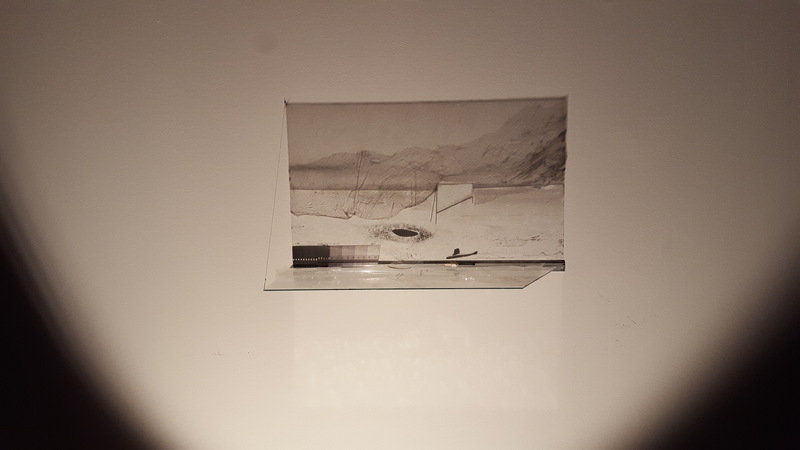 Acknowledgment: The City Museum of Ljubljana, especially Blaž Peršin, Alenka Gregorič, Jernej Volk.